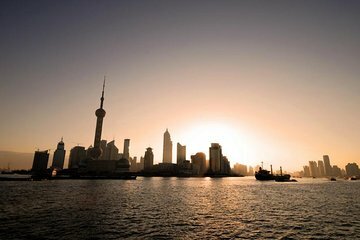 After your cruise ship drops anchor at one of Shanghai’s many ports (Shanghai International Cruise Terminal, Baoshan Port or Waigaoqiao Port), disembark and greet your courteous driver at a convenient location. Climb aboard your private, air-conditioned vehicle and relax during the direct journey to your accommodation. When booking, simply enter your details, pay in advance and present your voucher to your driver on arrival. Transfers are available 24 hours a day, 7 days a week and the price is based on 7 adults per vehicle. Our transfer from the port to our hotel in Shanghai. Driver was courteous and helpful. The pickup was 2 1/2 hours late but I believe this was due to too much traffic at the port. Apparently the road was closed for a while. Not the driver's fault. Choose vehicle wisely allowing for ALL of your luggage and allow at least an hour with traffic. Had a little trouble making connections at port. Security restricted tour operators to set up a gate to port. Once I contacted the tour operator by phone, a meeting point was established, we met, and traveled successfully to our hotel.